Edmonton Fire Rescue's main function is to serve the people of Edmonton with the goal of protecting life, property and the environment by providing excellence in services and public safety. Edmonton Fire Rescue Services (EFRS) protects Edmontonians not only by responding to fires, motor vehicle collisions and emergency medical events, but also through carrying out investigations and promoting fire prevention. Edmonton's firefighters are among the best trained in the world — they respond to diverse emergencies in our province's extreme climates. Their basic training includes fire ground attack, equipment training, rescue techniques and medical aid. The team responds out of Fire Station 10, where specialty apparatus and equipment is available including a totally self-sufficient, mobile decontamination unit. 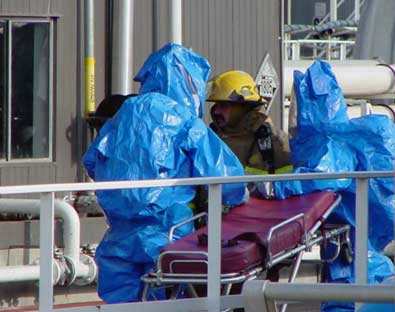 The team was formed in 1986 to meet the growing demand for Hazardous Materials personnel. 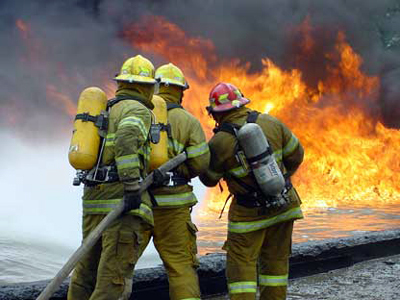 Current training is customized to meet the vast needs of the region and industries surrounding it and exceeds National Fire Protection Association (NFPA) specifications. The team also supports central and northern Alberta and Northwest Territories by responding to incidents, providing expertise and technical equipment as requested by individual municipalities and is supported by all levels of government. 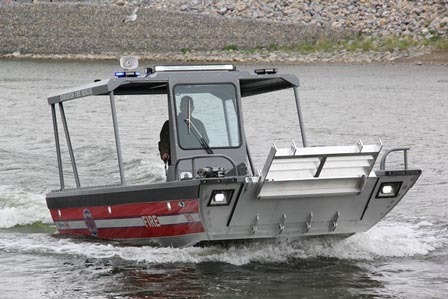 EFRS has specialized water and ice rescue teams. Water Rescue training is provided to personnel to safely and effectively perform rescues in ponds, lakes, streams and rivers in all environmental conditions, including ice rescues. The North Saskatchewan River is serviced with a specialized watercraft and supports rescues when ice and ice floes are not present. “Technical rescue" refers to the aspects of saving life or property that employ the use of tools and skills that exceed those normally reserved for fire fighting and emergency medical services. 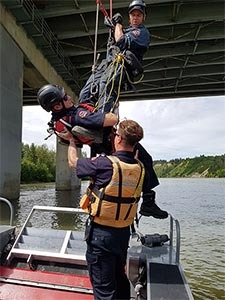 EFRS’ Technical Rescue Team responds to events such as tower, bridge and high-rise rescue, confined space rescue, trench collapse, tunnel and sewer entrapment, riverbank rescue and some water rescues. Technical rescue teams consist of no less than eight members on duty at an assigned Fire Station who are trained in high angle, confined space, as well as Static and Swift water and ice rescue. Each platoon has between 18 and 20 staff members qualified to be on the technical rescue team.